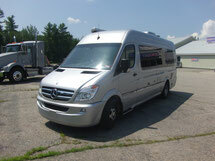 Profile State Line Superstore is proud to be your PREMIERE New England Airstream Travel Trailer dealer! 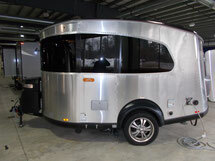 Each Airstream Travel Trailer is a sleek, high quality product that smoothly glides across the road. Founded in 1931, Airstream has been a staple in the RV community for over 80 years. OUR LEBANON, MAINE FACILITY SPORTS AN INDOOR SHOWROOM. YOU CAN NOW VIEW NEW AND USED AIRSTREAM TRAVEL TRAILERS AND THE ALL-NEW, NEST IN ANY WEATHER IN THE COMFORT OF OUR HEATED AND AIR CONDITIONED 20,000 SQUARE FOOT SHOWROOM. THE LARGEST IN NEW ENGLAND!! If you are in the market for a quality travel trailer, look no further! Stop by Profile State Line Superstore to start your next big adventure with Airstream. We service what we sell! 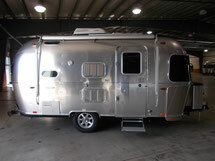 Our State-of the Art Metal shop is staffed by body professionals specializing in Airstream panel replacement. They can repair damaged panels from accidents or weather related problems including side-swipings and errant trees. Any major damage can be addressed. Insurance claims are accepted as well. You will not be dissatisfied! AIRSTREAM SALUTE PROGRAM FOR MILITARY AND FIRST RESPONDERS EXTENDED THROUGH JANUARY 2020! Airstream Salute initiative offers factory rebates to those who keep us free and safe. Airstream Salute is available to U.S. military personnel, veterans, retirees, members of the National Guard and reserves, military spouses and dependents, EMTs, firefighters and members of law enforcement (more details here). Interested parties can verify their eligibility for the program by completing a short form on Airstream.com. Eligible customers who complete and submit the forms will receive payment from Airstream in 30-60 days. Program requires entering the Salute redemption code into the CPC registration form (click here to see where) and the completion of a Salute rebate form. The Salute rebate form will be emailed to eligible customers as part of the verification process. Airstream will process Salute factory rebate reimbursements monthly. Each reimbursement will be listed on the check memo with the unit number. Participation in this program is limited to eligible U.S. Military Personnel, Veterans, and Retirees and eligible First Responder personnel who purchase an eligible, new, untitled Airstream travel trailer or touring coach from a participating, authorized Airstream through January 2020. The following new Airstream models are eligible for this promotion. Eligible participants must visit https://www.airstream.com/community/salute and follow the link for verification by SheerID. Each participant must submit the information requested by Sheer ID. Once verified, Airstream will provide Participant with a certificate reflecting Participant’s eligibility. 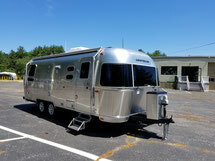 To claim the discount, a Participant must present the certificate, along with his/or her driver’s license, to a participating Airstream dealer. SLEEPS: Sleeps 2 Holds 8 Passengers 63000 MILES! Airstream and Mercedes, in a perfect marriage of engineering and excellance, have created the ultimate paragon of freedom and exploration, The Airstream Interstate 3500! Designed with a lower center of gravity and standard adaptive electronic stability program, (adaptive/esp), you will not find a more confidence-inspiring ride-no matter how far you travel. And since the indomitable Mercedes-Benz turbo-Diesel Engine delivers a stunning 18-19+ miles to the gallon, you'll have many more miles to explore. This is definitely something new. With its fiberglass body and automotive styling, the new Nest by Airstream doesn’t look like anything they've made before. But it has the same soul as the iconic aluminum travel trailers – the same careful craftsmanship, and the same spirit of wanderlust. So if you love clever, modern design as much as you love adventure, you might find yourself feeling like Nest™ was made just for you. Nest is compact, lightweight, and easy to tow, so it’s the perfect sidekick for a last-minute weekend getaway. Its smart floorplans pack in a surprising amount of features and amenities. And its sleek, contemporary design elevates any trip to the next level. Ready to go? So is Nest. Nest’s striking fiberglass shell and panoramic front windows are sure to turn heads. And its interior is equally beautiful – a bright, airy space that puts you at ease. Every surface and fabric, every line and curve is thoughtfully considered and precisely rendered to create an inspiring travel experience. A kitchen, dinette, full bathroom, and queen-sized bed, plus a power awning that creates even more living space outside. And that’s just the beginning. The time you spend in your Nest is bound to become one of the best parts of any trip, thanks to its impressive lineup of features. Some people want to go even farther off the grid to answer the call of adventure. That’s why Airstream created the new Basecamp X Package. It’s full of features that make Basecamp even more rugged and durable, so wherever the road takes you – you’re ready. A new generation is dawning. Basecamp is full of smart choices that maximize space, keep things clean, and make everything from charging to cooking that much easier. It’s everything you’d want to have along with you on an adventure, and even a few things that might surprise you. Basecamp was made for those who want to see the world. Built for adventure, it’s tough enough to go anywhere your wanderlust takes you, and comfortable enough to help you really enjoy the time you spend there. Hit the road, hit the trails, and get going. Basecamp is full of features that help you fuel up for the day, then clean up and sack out when it’s all said and done. From the rear hatch for your gear to the on-board restroom to the convertible living space that forms a relaxing bed, it’s all right there with you, along for the ride. It's time to be a little spontaneous. Our most nimble Airstream yet, Basecamp is the very definition of get-up-and-go! It is compact, light, and easy to tow, and the perfect place to land after a day of adventure. Storage is versatile and abundant, sleeping space will surprise you, and you'll still have all the essentials, plus some added luxuries. So get going! Basecamp is ready when you are. We lovingly refer to the Sport as fun-sized, with all the quality and craftsmanship we’re known for in a compact, efficient floor plan. Built with our trademark riveted aluminum body, the Sport will turn heads on the highway, and last a lifetime – or even beyond. The Sport is one of our lightest travel trailers: light enough to tow with an SUV, easily and smoothly. It’s compact and ready to fit into smaller campground spots to get you even closer to the great outdoors. And it’s still built with all the comforts of home, so you don’t have to rough it if you don’t want to. 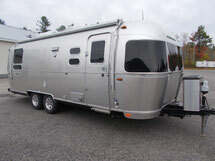 The Flying Cloud has been one of Airstream’s most popular travel trailers for decades. With more floorplans available than any other model, it’s easy to see why: a fit for families, long-term travelers, or weekend wanderers, there’s a great chance you can find a Flying Cloud that’s perfect for you. Practical and efficient, the 19 Flying Cloud invites you inside with the flair of modern design. Compared to its “box-shaped” competitors, it’ll last longer, require less maintenance, offer better stability when towing, and cost less at the fuel pump. Featuring an all-in-one DRY bath and rear corner bed, ac and heat with stove/oven, fridge and stainless sink is standard. This floorplan features a convertable dinette booth, giving you quality and comfort that’s uniquely Airstream. Bambis are the most compact Airstreams on the road-perfect for those who want to get up and go, anytime on a moments notice. The benchmark for economy and efficiency, every inch has been designed to give maximum livability in minimum length without sacrifiing any of the basic Airstream features of construction and comfort. You'll be amazed to discover just how much can be installed in nineteen feet. The Bambi has a double bed and convertable dinette, sleeps up to 4, features ample gally and storage space, and a full all-in-one bathroom: far more space and facilities than you can imagine from the outside. Want proof big adventures can come in a small package? Compact, lightweight, and loaded with a surprising number of features for its size, the Sport is perfectly equipped for weekends spent exploring. At the end of each day, you’ll love returning to your Sport to relax, recharge, and wake up ready for whatever tomorrow brings. The Sport is your ticket to a quick getaway. It’s large enough to sleep up to four, yet small enough to be towed with an SUV. Whether you spend your weekends blazing new trails or returning to tried-and-true destinations, the Sport helps you answer the call of the road. This used one includess the previous owners hitch with sway bars! We lovingly refer to the Sport as fun-sized, with all the quality and craftsmanship we’re known for in a compact, efficient floor plan. Built with our trademark riveted aluminum body, the Sport will turn heads on the highway, and last a lifetime – or even beyond. The Sport is one of our lightest travel trailers: light enough to tow with an SUV, easily and smoothly. It’s compact and ready to fit into smaller campground spots to get you even closer to the great outdoors. And it’s still built with all the comforts of home, so you don’t have to rough it if you don’t want to. TWO HAVE BEEN ORDERED WITH SOLAR PANELS DUE IN JANUARY 2019! Created for longer trips or full-time living, the Classic Travel Trailer offers every comfort of home you want – plus plenty of amenities you didn’t even know you needed. Hit the road knowing you’ll start and end each day surrounded in features that transform a road trip into a true getaway. This Classic Travel Trailer gives you dedicated cooking, dining, lounging, bathroom and bedroom areas, each as luxurious as the last. Count on the Aitstream Flying Cloud to last longr than its boxy competitors, all while enjoying less of an impact at the pump and better stability on the road. Inside, there's a place for everything and everything is in its place, from streamlined cabinetry to sleek fabrics and clever fixtures. The Flying Cloud is our most popular, most versatile travel trailer, and for good reason- there’s a perfect balance of size, capability, and Airstream style. The Flying Cloud is our most popular, most versatile travel trailer, and for good reason. 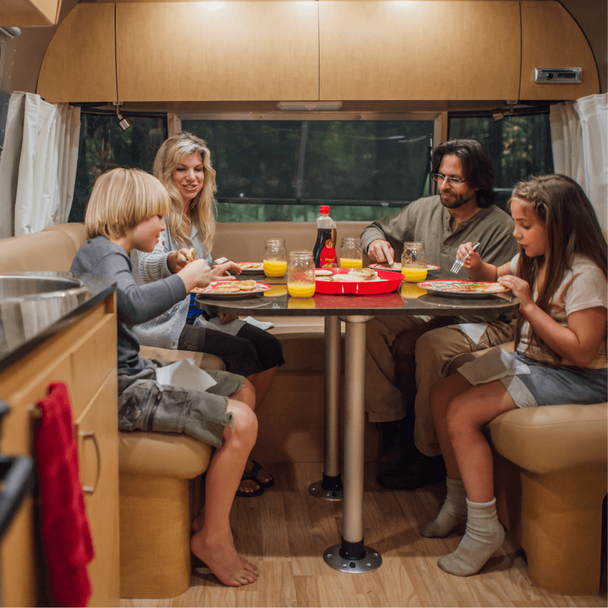 With more floorplans available than any other model, there’s a “just right” for everyone and a perfect balance of size, capability, and Airstream style. This model features twin beds a versatile floorplan and plenty of room. The Flying Cloud is our most popular, versatile, and family-friendly travel trailer. The light and airy design keeps you ready to float from one adventure to the next, bringing your comfort zone right along with you. High-end appliances like a four-burner gas stove, Baraldi cooking vent, and built-in microwave make cooking fun and easy. Clean lines in the cabinetry, a neutral countertop and a modern a Moen® faucet keep things looking good in the galley, before, during, and after a meal. Lower cabinets for all of your pots and pans, and upper lockers for groceries and dishes, and even pull-out pantries for easy access. The Flying Cloud is our most popular, versatile, and family-friendly travel trailer. The light and airy design keeps you ready to float from one adventure to the next, bringing your comfort zone right along with you. Clean lines in the cabinetry, a neutral countertop and a modern a Moen® faucet keep things looking good in the galley, before, during, and after a meal. Lower cabinets for all of your pots and pans, and upper lockers for groceries and dishes, and even pull-out pantries for easy access. The dinettes and sofas let you relax and entertain when you need the seating space, and then easily convert into comfortable sleeping when you’re ready for bed. Converting a dinette to a sleeping space is simple: tables act as bases and cushions double as mattresses that are perfect for the kids or friends and family. And it’s not just dinettes that add room. Our extended lounges and reclining sofas are perfect sleeping spots, too. There’s space for everyone to find their perfect nook. "European Inspiration for your American Dreams"! Designed in the UK with aesthetic influences from accross the continent, The Airstream Globetrotter is a modernist lover's dream! With its incredibly sleek, clean, and uncluttered European lines, and compositional elements that beautifully compliment the Airstream profile, the Globetrotter is Airstream's newest American icon. Appealing to those design-savvy travelers with refined appreciation for contemporary form and function, the Globetrotter is certain to inspire your own lust for wander and beyond. This one is ready for you in Nashua, NH!